Any company working in the automotive industry can benefit from SMMT membership, providing member companies and their employees with access to a comprehensive range of knowledge, products, services and expert advice. 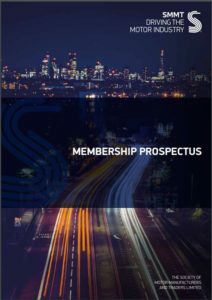 Find out how SMMT are supporting the industry and how SMMT can help you by downloading our membership prospectus. What will joining SMMT mean for your company? For more information about products or services please get in touch with the SMMT Member Services team. Read testimonials from our members about the benefits of joining SMMT.